Banapple is a bakery and café which serves baked goods, cakes, pies, desserts, smoothies, coffee, and many more delicious food and beverage. Besides casual dining on their regular operating hours, customers can also reserve for a banquet room at their Katipunan and Tomas Morato branches. They have different branches in the country but their main kitchen is along Katipunan avenue in Quezon City (Metro Manila). When we arrived at the place, we had to wait for about 5 minutes because it was full-packed inside. While waiting outside Bannaple, we were already given a number for our supposed table and the menu even though a customer must go to the counter to order and pay (because in some cafés, customers just sit at the café from the time the menus were given to them, to ordering and up to paying). I had the "Banapple" smoothie mainly because it seemed like the most "basic" smoothie to get since it was named similar to the store`s name. The taste reminded me of frozen smashed bananas with syrup. I really like it because it was flavorful and really cold. My friend had the "Ripe Mango" smoothie. 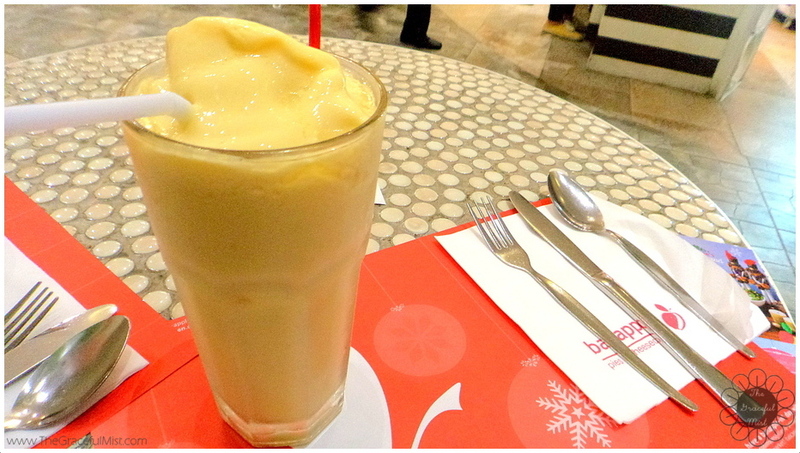 When I asked her what she thought of the taste, she said that the sweetness of the Mango flavor was mild. 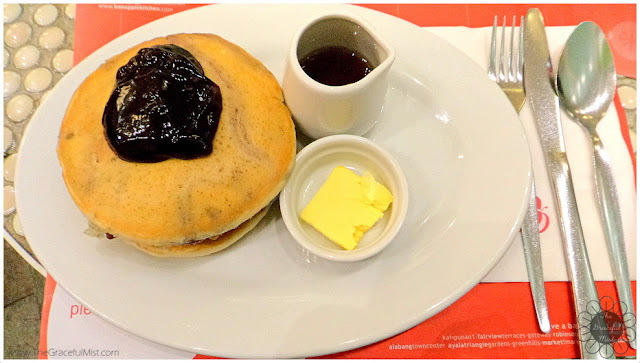 I and my friend shared this "Awesome Blueberry Pancakes". It has a syrup and butter at the side and some blueberry flavored topping. Every layer of the pancake has what I assume to be blueberries. It was really sweet if I eat it all together with the syrup and butter. I found it more delectable if the taste of the actual pancakes is a bit more dominating because then the food wouldn`t be that sweet. Banapple`s interior design is really bright and cute which somehow resonates a young and lively vibe. My friend also commented that the place was pretty which I agreed on because it has cool-looking decorations. Its design is basically that of a bakery (the counter/cashier) on the streets with neighboring houses plastered and decorated on the walls of the store. I thought this was such a fun idea! All in all, Bannaple is a great store because they offer a wide variety of food and beverage which may leave their customers feeling filled and full, the smoothie and pancake I had were both delicious and mouthwatering, and their place felt lively because of the colorful interior design and the energizing-looking products they offer to serve. Have you tried any of their products? If yes, did you like it/them? Have a blessed week! Smoothies are great to have in the morning. I like drinking them as well. Thank you for dropping by. You have a cool fashion blog. I love smoothies. I tend to try new flavours So far I have tasted strawberry and mango. I either take them for breakfast or evening meal. holy YUM! that place looks like it could be my favorite place to eat! I would love that smoothie, looks so dang good! Oh this place looks awesome! My friend would adore this place it's literally her favorite things in one. I want those pancakes now! They look delicious! This place looks great. Thank for sharing! Great photos too! I love smoothies.. I try to drink as much as possible! I also love pancakes! It seems like a nice spot for breakfast! Akready hte name Banapple sounds so delicious! 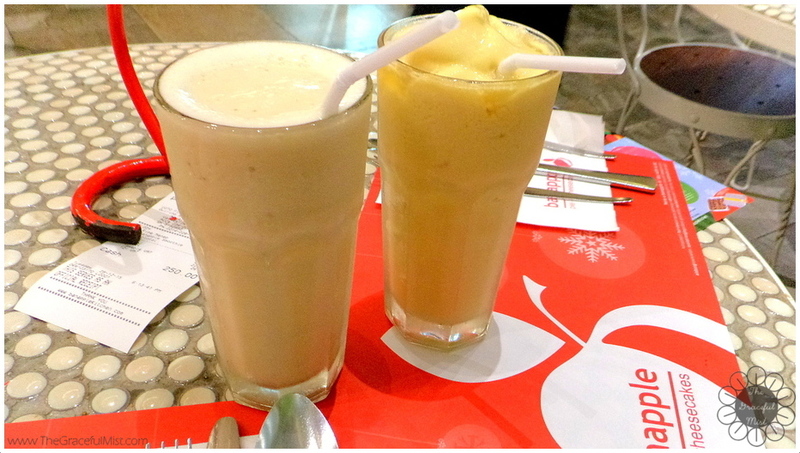 That mango smoothie is made for me! I wish the place was a bit nearer to my place. Now this summer I have realized that there are finally more variety in Budapest as well, maybe I'll find a perfect mango smoothie palce here too, at least I hope so. 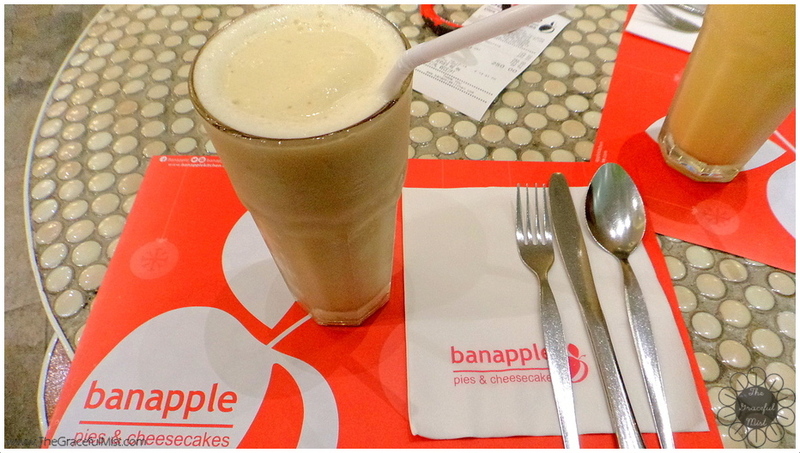 Banaple looks amazing, I love the sound of the blueberry pancake and the smoothies look really refreshing! What a cool place! If I visited, I'd have to go for those pancakes too! I'm a big fan of sweets! Smoothies, pies, cakes and all of the in between! This looks like the type of place that I would definitely frequent! There is no better way to start your day than with a delicious smoothie! SO good! I like just about anything mango flavored, so it looks pretty great to me! I love a good cold smoothie! This looks like a good place to at least try! That's a great find. Chilly vibe and awesome food. Would love to try the smoothies. I really think I need that Bannapple smoothie in my life. I am sucker for a smoothie. Oooo this place sounds beyond delicious!!!! Nothing better than a tasty smoothie! Yum! 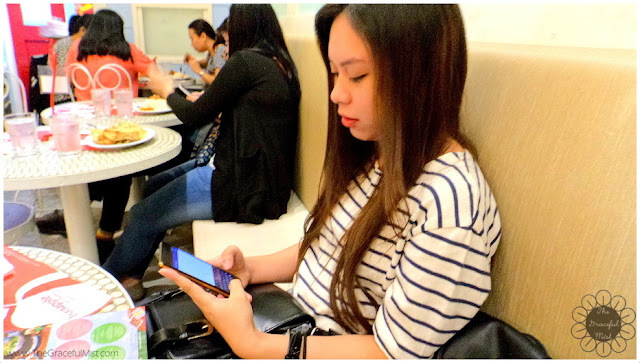 I enjoy dining at Banapple! It always is quite a wait any time I do eat there. I rarely see free tables which is a good sign. What I like about them is that their servings are good for two and the prices are reasonable. This is a place I would love going to. I love smoothies and milkshakes and all kinds of things that are served here. Wish I could grab the glass from the screen. Going to make a smoothie for myself now!